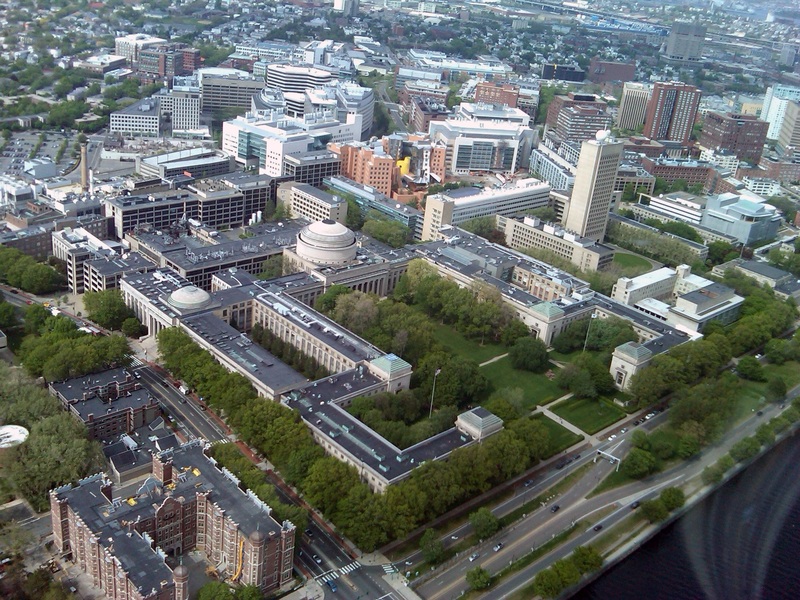 The High-Energy-Density Physics (HEDP) division of MIT’s Plasma Science and Fusion Center (PSFC), along with four other universities, has been awarded a five-year, $10 million grant to establish a Stewardship Science Academic Alliances Center of Excellence. The PSFC will be the lead partner in the center, which includes the University of Iowa; the University of Nevada at Reno; the University of Rochester; and Virginia Polytechnic Institute and State University. The U.S. Department of Energy’s (DOE) National Nuclear Security Administration (NNSA) award will support educational and research missions across the partners. The goal of the newly established center is to generate exceptional experimental and theoretical PhDs in HEDP and inertial confinement fusion (ICF), while addressing issues of critical interest to the Department of Energy’s NNSA and national labs. Officially called the Center for Advanced Nuclear Diagnostics and Platforms for Inertial ICF and HEDP at Omega, NIF and Z, the center will focus on the properties of plasma under extreme conditions of temperature, density and pressure. Center partners will collaborate closely with the Lawrence Livermore National Laboratory, Los Alamos National Laboratory, Sandia National Laboratory, the Laboratory for Laser Energetics, and General Atomics. 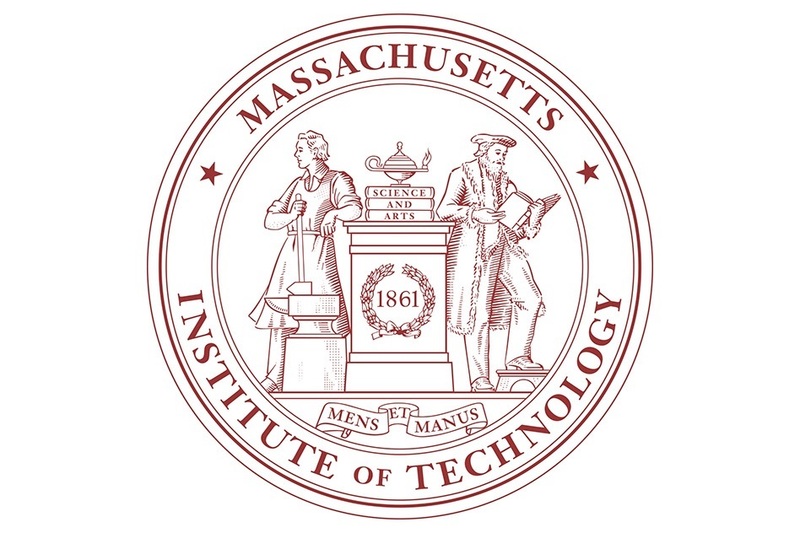 MIT’s HEDP division has a long and established history of collaboration with these labs, regularly using Laser Energetics’s 30-kilojoule OMEGA laser, Lawrence Livermore’s National Ignition Facility, and Sandia’s Z machine to pursue a wide range of research, including inertial confinement fusion, nuclear science, and laboratory astrophysics. The division has used its Accelerator Facility to develop and characterize diagnostics for these machines, and as part of the new center will pursue new diagnostic techniques for advanced research. HEDP division head and Center of Excellence Director Richard Petrasso acknowledges the importance of this partnership. Launched in 2002, the Stewardship Science Academic Alliances Centers of Excellence program emphasizes areas of research that are relevant to NNSA’s stockpile stewardship mission, and promotes the education of the next generation of highly-trained nuclear scientists and engineers. Astra, the world’s fastest Arm-based supercomputer according to the TOP500 list, has achieved a speed of 1.529 petaflops, placing it 203rd on a ranking of top computers announced at The International Conference for High Performance Computing, Networking, Storage, and Analysis SC18 conference in Dallas. The Astra supercomputer at Sandia National Laboratories, which runs on Arm processors, is the first result of the National Nuclear Security Administration’s Vanguard program, tasked to explore emerging techniques in supercomputing. (Photo by Regina Valenzuela). Click on the thumbnail for a high-resolution image. A petaflop is a unit of computing speed equal to one thousand million million (1015) floating-point operations per second. Astra, housed at Sandia National Laboratories, achieved this speed on the High-Performance Linpack benchmark. The latter test uses computational and data access patterns that more closely match the simulation codes used by the National Nuclear Security Administration. Astra is one of the first supercomputers to use processors based on Arm technology. The machine’s success means the supercomputing industry may have found a new potential supplier of supercomputer processors, since Arm designs are available for licensing. Arm processors previously had been used exclusively for low-power mobile computers, including cell phones and tablets. A single Astra node is roughly one hundred times faster than a modern Arm-based cell phone, and Astra has 2,592 nodes. Less than a month after hardware delivery and system installation, Astra reached its first goal of running programs concurrently on thousands of nodes. The next steps include transferring mission codes to Astra from existing architectures used to support the NNSA mission. While this step can be challenging for Astra’s new architecture and compilers, the real effort will likely involve a continuous cycle of performance analysis, optimization and scalability studies, which evaluate performance on larger and larger node counts to achieve the best possible performance on this architecture. The Astra supercomputer is itself the first deployment of Sandia’s larger Vanguard program. Vanguard is tasked to evaluate the viability of emerging high-performance computing technologies in support of the NNSA’s mission to maintain and enhance the safety, security and effectiveness of the U.S. nuclear stockpile. A new rocket program could help cut research and development time for new weapons systems from as many as 15 years to less than five. Sandia National Laboratories developed the new program, called the High Operational Tempo Sounding Rocket Program, or HOT SHOT, and integrated it for its first launch earlier this year under the National Nuclear Security Administration’s direction. The first HOT SHOT rocket launched from Sandia’s Kauai Test Facility in Hawaii in May, marking the first time DOE has used rockets carrying scientific instruments, also known as sounding rockets, since the 1990s. Sandia is planning four launches next year. HOT SHOT launches comparatively inexpensive sounding rockets carrying scientific experiments and prototypes of missile technology. The flight data help researchers improve technologies, validate that they are ready for use and deploy them faster than with conventional validation techniques. In turn, NNSA is equipped to respond quickly to emerging national security needs. The program also supports a tailored and flexible approach to deterrence, as outlined in the 2018 Nuclear Posture Review. The flights prove whether prototype missile components — from an onboard computer to a structural bracket — can function in the intense turbulence, heat and vibration a missile experiences in flight. The Department of Defense also provides such confirmation with a conventional missile test following rigorous DOE studies and simulations on the ground. But by that point, the chance to significantly modify a component has largely passed. Until now, the DOD flight tests have been virtually the only way to get a clear picture of how new components fare in flight. Sandia’s large-scale environmental testing facilities can mechanically shake objects back and forth and spin them at high speeds to mimic a flight experience. But for a stress-like vibration, HOT SHOT provides a much closer simulation. Other stresses, such as heat from re-entry or the simultaneous combined environments experienced in flight, simply don’t have accurate models or ground test methods researchers can use. The test data also will help engineers like Tipton design more realistic ground tests, something industries from automobile to aerospace are also earnestly researching. HOT SHOT will not replace DOD flight tests. However, it does use comparatively simple, two-stage sounding rockets built from surplus inventory motors to recreate the flight environment of their more expensive cousins, which can cost tens of millions of dollars to fly. The cost of a traditional flight test has made exploring some new ideas prohibitively expensive. “By the time we’re flying with DOD, the technology had better work. There’s no room for failure,” said Kate Helean, deputy director for technology maturation at Sandia. An NNSA facility or a partner institution now can test its technologies with HOT SHOT and risk much less if it fails. Sandia and Kansas City National Security Campus provided experiments for the first launch. Lawrence Livermore National Laboratory and United Kingdom-based Atomic Weapons Establishment will join them with tests on the next flight. Sandia designed HOT SHOT as a low-risk program to encourage exploration and creativity, which further augment NNSA’s ability to adapt weapons systems to urgent needs. “We really want to be leaning into new and innovative ideas, and that means we have to tolerate failure early when the technology is being tested,” Helean said. Inside each sounding rocket, dedicated research space is divided into decks, each with its own electrical and data ports to accommodate separate, even unrelated experiments. Sandia plans to conduct multiple launches each year, so researchers will have opportunities to test multiple versions of the same technology in relatively rapid succession. Internal instruments monitor the experiments and prototypes and send back real-time measurements to engineers on the ground. “We provide the payload integration and ride; they provide the experiments for the payload,” Spahn said. The Exascale Computing Project has initiated its sixth Co-Design Center, ExaLearn, to be led by Principal Investigator Francis J. Alexander, Deputy Director of the Computational Science Initiative at the U.S. Department of Energy’s (DOE) Brookhaven National Laboratory. ExaLearn is a co-design center for Exascale Machine Learning (ML) Technologies and is a collaboration initially consisting of experts from eight multipurpose DOE labs. Rapid growth in the amount of data and computational power is driving a revolution in machine learning (ML) and artificial intelligence (AI). Beyond the highly visible successes in machine-based natural language translation, these new ML technologies have profound implications for computational and experimental science and engineering and the exascale computing systems that DOE is deploying to support those disciplines. To address these challenges, the ExaLearn co-design center will provide exascale ML software for use by ECP Applications projects, other ECP Co-Design Centers and DOE experimental facilities and leadership class computing facilities. The ExaLearn Co-Design Center will also collaborate with ECP PathForward vendors on the development of exascale ML software. The timeliness of ExaLearn’s proposed work ties into the critical national need to enhance economic development through science and technology. It is increasingly clear that advances in learning technologies have profound societal implications and that continued U.S. economic leadership requires a focused effort, both to increase the performance of those technologies and to expand their applications. Linking exascale computing and learning technologies represents a timely opportunity to address those goals. The practical end product will be a scalable and sustainable ML software framework that allows application scientists and the applied mathematics and computer science communities to engage in co-design for learning. The new knowledge and services to be provided by ExaLearn are imperative for the nation to remain competitive in computational science and engineering by making effective use of future exascale systems. The ECP is a collaborative effort of two DOE organizations – the Office of Science and the National Nuclear Security Administration. As part of the National Strategic Computing initiative, ECP was established to accelerate delivery of a capable exascale ecosystem, encompassing applications, system software, hardware technologies and architectures, and workforce development to meet the scientific and national security mission needs of DOE in the early-2020s time frame. DOE’s Office of Science is the single largest supporter of basic research in the physical sciences in the United States and is working to address some of the most pressing challenges of our time. For more information, please visit https://science.energy.gov/. The Goal of ECP’s Application Development focus area is to deliver a broad array of comprehensive science-based computational applications that effectively utilize exascale HPC technology to provide breakthrough simulation and data analytic solutions for scientific discovery, energy assurance, economic competitiveness, health enhancement, and national security. Awareness of ECP and its mission is growing and resonating—and for good reason. ECP is an incredible effort focused on advancing areas of key importance to our country: economic competiveness, breakthrough science and technology, and national security. And, fortunately, ECP has a foundation that bodes extremely well for the prospects of its success, with the demonstrably strong commitment of the US Department of Energy (DOE) and the talent of some of America’s best and brightest researchers. ECP is composed of about 100 small teams of domain, computer, and computational scientists, and mathematicians from DOE labs, universities, and industry. We are tasked with building applications that will execute well on exascale systems, enabled by a robust exascale software stack, and supporting necessary vendor R&D to ensure the compute nodes and hardware infrastructure are adept and able to do the science that needs to be done with the first exascale platforms. Lawrence Livermore National Laboratory physicist Jonathan DuBois, who heads the Lab’s Quantum Coherent Device Physics (QCDP) group, examines a prototype quantum computing device designed to solve quantum simulation problems. The device is kept inside a refrigerated vacuum tube (gold-plated to provide solid thermal matching) at temperatures colder than outer space. Photos by Carrie Martin/LLNL. The laws of quantum physics impact daily life in rippling undercurrents few people are aware of, from the batteries in our smartphones to the energy generated from solar panels. As the Department of Energy and its national laboratories explore the frontiers of quantum science, such as calculating the energy levels of a single atom or how molecules fit together, more powerful tools are a necessity. In classical computing, Moore’s Law postulates that the number of transistors in an integrated circuit doubles approximately every two years. However, there are indications that Moore’s Law is slowing down and will eventually hit a wall. That’s where quantum computing comes in. Besides busting through the barriers of Moore’s Law, some are banking on quantum computing as the next evolutionary step in computers. It’s on the priority list for the National Nuclear Security Administration’s Advanced Simulation and Computing (ASC) program,,which is investigating quantum computing, among other emerging technologies, through its “Beyond Moore’s Law” project. At LLNL, staff scientists DuBois and Eric Holland are leading the effort to develop a comprehensive co-design strategy for near-term application of quantum computing technology to outstanding grand challenge problems in the NNSA mission space. Whereas the desktop computers we’re all familiar with store information in binary forms of either a 1 or a zero (on or off), in a quantum system, information can be stored in superpositions, meaning that for a brief moment, mere nanoseconds, data in a quantum bit can exist as either one or zero before being projected into a classical binary state. Theoretically, these machines could solve certain complex problems much faster than any computers ever created before. While classical computers perform functions in serial (generating one answer at a time), quantum computers could potentially perform functions and store data in a highly parallelized way, exponentially increasing speed, performance and storage capacity. 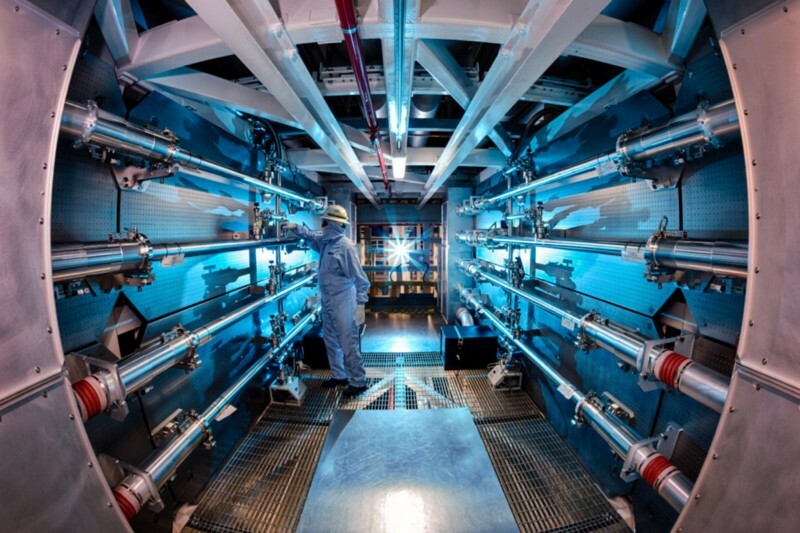 LLNL recently brought on line a full capability quantum computing lab and testbed facility under the leadership of quantum coherent device group member Eric Holland. Researchers are performing tests on a prototype quantum device birthed under the Lab’s Quantum Computing Strategic Initiative. The initiative, now in its third year, is funded by Laboratory Directed Research & Development (LDRD) and aims to design, fabricate, characterize and build quantum coherent devices. The building and demonstration piece is made possible by DOE’s Advanced Scientific Computing Research (ASCR), a program managed by DOE’s Office of Science that is actively engaged in exploring if and how quantum computation could be useful for DOE applications. LLNL researchers are developing algorithms for solving quantum simulation problems on the prototype device, which looks deceptively simple and very strange. It’s a cylindrical metal box, with a sapphire chip suspended in it. The box is kept inside a refrigerated vacuum tube (gold-plated to provide solid thermal matching) at temperatures colder than outer space — negative 460 degrees Fahrenheit. It’s highly superconductive and faces zero resistance in the vacuum, thus extending the lifetime of the superposition state. To “talk” to the box, researchers are using an arbitrary wave form generator, which creates an oscillating signal– the timing of the signal determines what computation is being done in system. DuBois said the physicists are essentially building a quantum solver for Schrödinger’s equation, the bases for almost all physics and the determining factor for the dynamics of a quantum computing system. Finding out how the device will work is part of the mission of DOE’s Advanced Quantum-Enabled Simulation (AQuES) Testbed Pathfinder program, which is analyzing several different approaches to creating a functional, useful quantum computer for basic science and use in areas such as determining nuclear scattering rates, the electronic structure in molecules or condensed matter or understanding the energy levels in solar panels. In 2017, DOE awarded $1.5 million over three years to a team including DuBois and Lawrence Berkeley National Laboratory physicists Irfan Siddiqi and Jonathan Carter. The team wants to determine the underlying technology for a quantum system, develop a practical, usable quantum computer and build quantum capabilities at the national labs to solve real-world problems. The science of quantum computing, according to DuBois, is “at a turning point.” Within the three-year timeframe, he said, the team should be able to assess what type of quantum system is worth pursuing as a testbed system. The researchers first want to demonstrate control over a quantum computer and solve specific quantum dynamics problems. Then, they want to set up a user facility or cloud-based system that any user could log into and solve complex quantum physics problems. Quantum computers have come a long way since the first superconducting quantum bit, or “qubit,” was created in 1999. In last nearly 20 years, quantum systems have improved exponentially, evidenced by the life span of the qubit’s superposition, or how long it takes the qubit to decay into 0 or 1. In 1999 that figure was a nanosecond. Currently, systems are up to tens to hundreds of milliseconds, which may not sound like much, but every year, the lifetime of the quantum bit has doubled. For the Testbed project, LLNL’s first generation quantum device will be roughly 20 qubits, DuBois said, large enough to be interesting, but small enough to be useful. A system of that size could potentially reduce the time it takes for most current supercomputing systems to perform quantum dynamics calculations from about a day down to mere microseconds, DuBois said. To get to that point, LLNL and LBNL physicists will need to understand how to design systems that can extend the quantum state. From ECP: What is Exascale Computing and Why Do We Need It? The Trinity supercomputer, with both Xeon Haswell and the Xeon Phi Knights Landing processors, is the seventh fastest supercomputer on the TOP 500 list, and number three on the High Performance Conjugate Gradients Benchmark project. As part of the National Strategic Computing Initiative (NSCI), the Exascale Computing Project (ECP)﻿ was established to develop a capable exascale ecosystem, encompassing applications, system software, hardware technologies and architectures, and workforce development to meet the scientific and national security mission needs of the U.S. Department of Energy (DOE) in the mid-2020s time frame. The goal of ECP is to deliver breakthrough modeling and simulation solutions that analyze more data in less time, providing insights and answers to the most critical U.S. challenges in scientific discovery, energy assurance, economic competitiveness and national security. The Trinity Supercomputer at Los Alamos National Laboratory was recently named as a top 10 supercomputer on two lists: it made number three on the High Performance Conjugate Gradients (HPCG) Benchmark project, and is number seven on the TOP500 list. 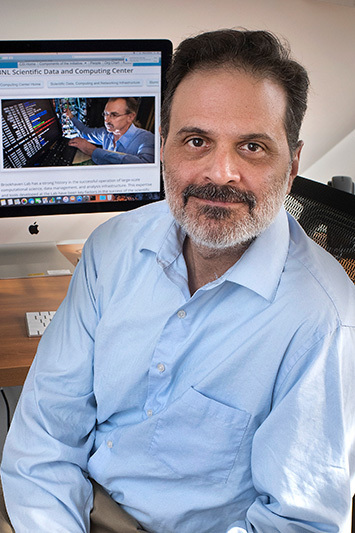 “Trinity has already made unique contributions to important national security challenges, and we look forward to Trinity having a long tenure as one of the most powerful supercomputers in the world.” said John Sarrao, associate director for Theory, Simulation and Computation at Los Alamos. Trinity, a Cray XC40 supercomputer at the Laboratory, was recently upgraded with Intel “Knights Landing” Xeon Phi processors, which propelled it from 8.10 petaflops six months ago to 14.14 petaflops. 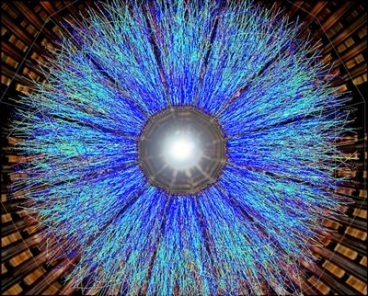 The Trinity Supercomputer Phase II project was completed during the summer of 2017, and the computer became fully operational during an unclassified “open science” run; it has now transitioned to classified mode. Trinity is designed to provide increased computational capability for the National Nuclear Security Agency in support of increasing geometric and physics fidelities in nuclear weapons simulation codes, while maintaining expectations for total time to solution. The capabilities of Trinity are required for supporting the NNSA Stockpile Stewardship program’s certification and assessments to ensure that the nation’s nuclear stockpile is safe, secure and effective. The Trinity project is managed and operated by Los Alamos National Laboratory and Sandia National Laboratories under the Alliance for Computing at Extreme Scale (ACES) partnership. The system is located at the Nicholas Metropolis Center for Modeling and Simulation at Los Alamos and covers approximately 5,200 square feet of floor space. Exascale computing refers to computing systems capable of at least one exaflop or a billion billion calculations per second (1018). That is 50 times faster than the most powerful supercomputers being used today and represents a thousand-fold increase over the first petascale computer that came into operation in 2008. How we use these large-scale simulation resources is the key to solving some of today’s most pressing problems, including clean energy production, nuclear reactor lifetime extension and nuclear stockpile aging. In the run-up to developing exascale systems, at Los Alamos we will be taking the lead on a co-design center, the Co-Design Center for Particle-Based Methods: From Quantum to Classical, Molecular to Cosmological. The ultimate goal is the creation of scalable open exascale software platforms suitable for use by a variety of particle-based simulations. Los Alamos is leading the Exascale Atomistic capability for Accuracy, Length and Time (EXAALT) application development project. EXAALT will develop a molecular dynamics simulation platform that will fully utilize the power of exascale. The platform will allow users to choose the point in accuracy, length or time-space that is most appropriate for the problem at hand, trading the cost of one over another. The EXAALT project will be powerful enough to address a wide range of materials problems. For example, during its development, EXAALT will examine the degradation of UO2 fission fuel and plasma damage in tungsten under fusion first-wall conditions. In addition, Los Alamos and partnering organizations will be involved in key software development proposals that cover many components of the software stack for exascale systems, including programming models and runtime libraries, mathematical libraries and frameworks, tools, lower-level system software, data management and I/O, as well as in situ visualization and data analysis. ECP is a collaborative effort of two DOE organizations—the Office of Science and the National Nuclear Security Administration (NNSA). DOE formalized this long-term strategic effort under the guidance of key leaders from six DOE and NNSA National Laboratories: Argonne, Lawrence Berkeley, Lawrence Livermore, Los Alamos, Oak Ridge and Sandia. The ECP leads the formalized project management and integration processes that bridge and align the resources of the DOE and NNSA laboratories, allowing them to work with industry more effectively. Trinity supercomputer’s two partitions – one based on Intel Xeon Haswell processors and the other on Xeon Phi Knights Landing – have been fully integrated are now available for use on classified work in the National Nuclear Security Administration (NNSA)’s Stockpile Stewardship Program, according to an announcement today. The KNL partition had been undergoing testing and was available for non-classified science work. “The main benefit of doing open science was to find any remaining issues with the system hardware and software before Trinity is turned over for production computing in the classified environment,” said Trinity project director Jim Lujan. “In addition, some great science results were realized,” he said. “Knights Landing is a multicore processor that has 68 compute cores on one piece of silicon, called a die. This allows for improved electrical efficiency that is vital for getting to exascale, the next frontier of supercomputing, and is three times as power-efficient as the Haswell processors,” Archer noted. The Trinity project is managed and operated by Los Alamos National Laboratory and Sandia National Laboratories under the New Mexico Alliance for Computing at Extreme Scale (ACES) partnership. In June 2017, the ACES team took the classified Trinity-Haswell system down and merged it with the KNL partition. The full system, sited at LANL, was back up for production use the first week of July. The Knights Landing processors were accepted for use in December 2016 and since then they have been used for open science work in the unclassified network, permitting nearly unprecedented large-scale science simulations. Presumably the merge is the last step in the Trinity contract beyond maintenance. Trinity, based on a Cray XC30, now has 301,952 Xeon and 678, 912 Xeon Phi processors along with two pebibytes (PiB) of memory. Besides blending the Haswell and KNL processors, Trinity benefits from the introduction of solid state storage (burst buffers). This is changing the ratio of disk and tape necessary to satisfy bandwidth and capacity requirements, and it drastically improves the usability of the systems for application input/output. With its new solid-state storage burst buffer and capacity-based campaign storage, Trinity enables users to iterate more frequently, ultimately reducing the amount of time to produce a scientific result. June 2015, Trinity first arrived at Los Alamos, Haswell partition installation began. February 12 to April 8, 2016, approximately 60 days of computing access made available for open science using the Haswell-only partition. June 2016, Knights Landing components of Trinity began installation. February 8, 2017, Trinity Open Science (unclassified) early access shakeout began on the Knights Landing partition before integration with the Haswell partition in the classified network. July 2017, Intel Haswell and Intel Knights Landing partitions were merged, transitioning to classified computing. HPCwire is the #1 news and information resource covering the fastest computers in the world and the people who run them. With a legacy dating back to 1987, HPC has enjoyed a legacy of world-class editorial and topnotch journalism, making it the portal of choice selected by science, technology and business professionals interested in high performance and data-intensive computing. For topics ranging from late-breaking news and emerging technologies in HPC, to new trends, expert analysis, and exclusive features, HPCwire delivers it all and remains the HPC communities’ most reliable and trusted resource. Don’t miss a thing – subscribe now to HPCwire’s weekly newsletter recapping the previous week’s HPC news, analysis and information at: http://www.hpcwire.com. Each and every one of us has been touched by our national lab system in more ways than we realize. That’s especially the case with the Lawrence Livermore National Lab (LLNL), whose innovations and cutting edge technologies continue to impact us in surprising ways. They help us parallel park and make our cars safer via crash simulation. They fund satellite imagery of the world around us (does Google Earth ring a bell?). All of these innovations were created by scientists and engineers from LLNL — a lab that boasts an Entrepreneur’s Hall of Fame. Propel(x) had the chance to discuss the triumphs and opportunities that reside in the lab with Roger Werne, Deputy Director of Industrial Partnerships Office, of this technological pioneering lab. Propel(x): Talk to us about the founding and the charter of the Lawrence Livermore National Lab. Werne: Livermore was founded in September of 1952 as the second nuclear weapons design lab, Los Alamos being the first, to support the nuclear weapons capabilities of the United States. In more recent years, we have become a national security laboratory. This means that we do the R&D necessary for the federal government to implement national security policy. But, nuclear deterrence, or what’s called the stockpile stewardship program — which is the maintenance and upkeep of the nuclear weapons program of the United States — is still our number one mission. Essentially, any problem the United States has that involves science and technology with a national security flavor tends to be within our mission space. We’re about 6,500 employees right now, with a budget of around $1.7 billion for fiscal year ’17. Propel(x): Are the LLNL’s technology transfer efforts tied to the original mission? It is the formal mission of the laboratory to take whatever technologies are invented in the course of our national security mission , and get them into the hands of the private sector in order to create value for the US economy. So we do research for purposes of national security, and some of that research has commercial value. It is my job as part of the Industrial Partnerships Office to get technology and know-how out the door, and into the hands of private industry. In this process we deal with large and small companies which are looking for know-how or new technology to license and start-up companies which are looking for a new technology to solve a market-based problem. Propel(x): Can you give us few examples of commercial successes? Werne: We’ve chronicled our commercial successes through what we call the Entrepreneurs’ Hall of Fame here at Livermore. It includes 19 members who did their early training and development at the laboratory and then transferred their technology to the private sector, which usually led to the building of successful companies. For example, in the mid-80s, John Hallquist developed a computer software code , named DYNA3D. This software modeled the bending, folding, and collapse of metal structures better than anything else available at the time and the automobile industry picked up on this software as a way to do crash simulation. John Hallquist left Livermore and formed a company called Livermore Software Technology Corporation. He commercialized DYNA3D as LS-DYNA, which allows for calculations rather than experiments to evaluate automobile safety under collision conditions. And that code has become the standard in the world for automobile crash simulation. It saves the automobile industry billions of dollars a year in terms of avoided costs. LS-DYNA and Livermore Software Technology Corporation are the pioneers in that field in the entire world. Another example involves Walter Scott, a scientist who worked on satellite technology while at LLNL , and concluded that there would be commercial value in satellite imagery looking back down at the Earth yielding valuable information about everything from asset location to crop- information. . He cofounded a company called DigitalGlobe which now provides the imagery for Google Earth. Another technology developed at Livermore was Chromosome Painting, which is a molecular diagnostic technique utilizing labeled DNA probes to detect or confirm chromosome abnormalities. It enables the healthcare industry to diagnose and screen to various type of cancer. Chromosome Painting was licensed and commercialized by a series of companies named Imagenetics, Vysis, and now Abbott , and today it is a significant tool in the medical technology quiver. Furthermore, Livermore, Los Alamos, and Lawrence Berkeley, pioneered the human genome program back in the 80s, and Livermore developed tools to characterize chromosome 19. The three Labs can lay legitimate claim to having pioneered the human Genome program. Finally, we have a technology called micro-impulse radar, which is a very small, inexpensive radar system that was developed by Tom McEwan an LLNL engineer. It can measure the relative distance and speed between two moving objects very rapidly. LLNL licensed that technology to over 40 companies in a variety of markets including automotive and today, whenever you see an automobile that’s got collision avoidance warning on it or automatic parallel parking, that’s probably the “grandchild” of the Livermore technology. It’s been in the private sector for about 25 years now, and it has revolutionized the safety of automobiles. Propel(x): Let’s talk about a newer start-up that we both have connections to called SafeTraces (Note: SafeTraces is a Propel(x) alumnus company). Werne: SafeTraces is based on a technology that we call a DNA barcode. It was originally developed for the Department of Homeland Security and is basically a sugar substance with a known DNA signature. It’s being developed by SafeTraces to track our food supply from field to table to ensure food safety. For example, let’s say you are a farmer growing cantaloupes. Each cantaloupe would be sprayed with the DNA barcode in the field. You record the DNA signature for that particular location on that particular product. You then take that product to the marketplace. If there’s ever a problem that arises you can take a sample off of the skin of that cantaloupe and trace it back to where it came from. You can trace its entire history from field to countertop and know exactly what happened to it and where. It currently takes weeks or months to trace a food product back to it’s source. Being able to trace them back to their source rapidly, which is what you can do with SafeTraces, is a significant benefit to the food products industry and to the consumer(http://www.safetraces.com/). Propel(x): How do entrepreneurs who are interested in licensing LLNL IP get started? Werne: Livermore has raw technology, usually in the form of licensable patents, and we can license those patents to a company, either exclusively or non-exclusively. In working with a company, there are two things we do, i.e. negotiate business terms and conditions for licenses to transfer technology , and cooperative research and development agreements or CRADAs, , which are cooperative research with the private sector, to transfer knowledge and know-how. If an entrepreneur has a particular need for a technology and they want to look at a what Livermore has developed, they can go to our website,https://ipo.llnl.gov/ , and contact one of our Business Development Executives will help them figure out what is relevant to their needs. Then we can invite them to the laboratory, to have more detailed discussions. After discussions, if they are still interested they can begin licensing negotiations. To us, a successful technology transfer is a license or a cooperative research and development agreement which helps transfer our technology or know-how to the private sector. Propel(x): What’s the ideal relationship between an entrepreneur and a LLNL scientist at the root of an innovation? Werne: An experienced business entrepreneur from the outside — who understands how to develop a company and product and how to attract capital for financing — paired with a Livermore scientist who is the expert on the technology, is the most successful combination for starting a company. For example, when forming a new company, the outside experienced business professional might be the CEO, and the Livermore scientist might be the CTO, and it’s the combination of the two plus some capital from the investment community that is the beginning of a potentially successful company. Propel(x): Speaking of capital, how do you work with angel investors and VCs, and what would you like to communicate to them about your efforts? Werne: It’s that early stage — from starting the company to the very first investments — that is the critical part for us, and that’s where the angel community comes in, because the angel community tends to be a little more tolerant and willing to put their money down at a much earlier stage in a company’s maturity. We’re searching for angel investors who are a bit daring and an entrepreneur who’s got a vision and knows the market. And then we’ll try to provide a technology and an individual who can carry the technology forward into a product that will have commercial value. Propel(x): Lawrence Livermore has had a tremendous impact globally in its technology, and the past has been successful, so we’re wondering how you see the future unfolding and where Lawrence Livermore is going to have tremendous impact in the next 20 years? Werne: Livermore has been prominent in high-performance computing over the years. An example of this is the automobile crash simulation that I talked about earlier. It solved a real problem and has had a significant impact on the automobile industry. Furthermore,Computer tools used to help decode the human genome were developed at the national labs as well. From those early days, the field of bioinformatics has evolved which brings significant computing power developed at the Labs to identify pathogens based on genetic comparisons. These tools are being acquired by the private sector and will be further developed and accelerated to improve human health. Over all the national Labs want to transfer our knowledge of high-performance computing to the private sector to maintain U.S. competitiveness. The rest of the world has figured out that high-performance computing is important as well, so it’s going to be a bit of a horse race in that respect. The other area where I think we’re going to contribute is nanotechnology and additive manufacturing. The laboratories are significantly involved in additive manufacturing and other forms of microtechnology and nanotechnology in which there will be significant market capabilities developed. But which problems in manufacturing they will actually solve is an open question at this time. Trying to predict what a market need will be 5 or 10 years into the future is extremely difficult. So we develop the technology, present it to the private sector, and then it’s their job to figure out where it might be useful in terms of future applications. We need to know a little bit about the market and the market needs to know a little bit about us, and that’s one of my jobs, to make sure the market knows a little bit about us. Propel(x): Is there anything else you would like the readers to know about the Lawrence Livermore National Lab? Werne: LLNL, and all of the national labs, are open for business. One of our entrepreneurial advisors, Bob Tilman, who was cofounder of Digital Globe with Walter Scott, called Livermore a “Business friendly technology giant.” I want that to always be true. We are constantly trying to get our technologies in front of the people in the private sector. They understand markets, we understand technologies, and when it comes to finding a technology that will meet a market need, we may be able to help. Technology transfer is a shoulder to shoulder business with a company. You’ve got to be talking constantly and exchanging ideas and needs and capabilities so that somewhere along the line someone will say ,”You know, I think that might work.” And that might be the beginning of something good. George Bachand (1132), a bioengineer at the Center for Integrated Nanotechnology, is exploring a better, more permanent method for encrypting and storing classified data: DNA. Compared to digital and analog information storage, DNA is more compact, more durable, and never becomes obsolete. Readable DNA was extracted from the 600,000-year-old remains of a horse found in the Yukon. Tape- and disk-based data storage degrades and can become obsolete, requiring rewriting every decade or so. Cloud- or server-based storage requires a vast amount of electricity; in 2011 Google’s server farms used enough electricity to power 200,000 US homes. Furthermore, old-school methods require lots and lots of space. IBM estimated that 1,000 gigabytes of information in book form would take up seven miles of bookshelves. In fact, Sandia recently completed a 15,000-square-foot building to store 35,000 boxes of inactive records and archival documents. George was inspired by the recording of all of Shakespeare’s sonnets into 2.5 million base pairs of DNA — about half the genome of the tiny E. coli bacterium. Using this method, the group at the European Bioinformatics Institute could theoretically store 2.2 petabytes of information — 200 times the printed material in the Library of Congress — in one gram of DNA. The Bachands’ project, funded by Sandia’s Laboratory Directed Research & Development program, has successfully moved from the drawing board to letterhead. Using a practically unbreakable encryption key, the team has encoded an abridged version of the famous Truman letter establishing Sandia into DNA. They then made the DNA, spotted it onto Sandia letterhead, and mailed it — along with a conventional letter — around the country. After the letter’s cross-country trip, the team was able to extract the DNA out of the paper, amplify and sequence the DNA, and decode the message in about 24 hours at a cost of about $45. To achieve this proof-of-principle, the first step was to develop the software to generate the encryption key and encrypt text into a DNA sequence. Andrew Gomez worked on this while he was an intern at Sandia; he is now at Senior Scientific, a nanomedicine company at the University of New Mexico’s Science and Technology Park. DNA is made up of four bases, commonly referred to by their one-letter abbreviations: A, C, G, and T. Using a three-base code, exactly how living organisms store their information, 64 distinct characters, letters, spaces, and punctuation, can be encoded, with room for redundancy. For example, spaces make up on average 15 to 20 percent of the characters in a text document, an encryption key could specify that TAG, TAA, and TGA each code for “space” while GAA and CTC could code for “E”. This would reduce the amount of repetition — technically challenging for making and reading DNA — and make brute-force hacking more difficult. The team’s first test was to encode a 180-character message, about the size of a tweet. Encoding the message into 550 bases was easy; actually making the DNA was hard. Since successfully encoding, making, reading, and decoding the 180-character message and the 700-character Truman letter, George and Marlene are now working on even longer test sequences. However, what the Bachands really want to do is move beyond tests and apply their technique to national security problems. Two possible applications the team has identified are storing historical classified documents and barcoding/watermarking electromechanical components, such as computer chips made in MESA, Sandia’s DoD-certified fabrication facility, prior to storage. George imagines encoding each component’s history — when it was manufactured, the lot number, starting material, even the results of reliability tests — into DNA and spotting it onto the actual chip. Instead of having to find the serial number and look up that metadata in a digital or paper-based database, future engineers could swab the chip itself, sequence the DNA, and get that information in a practically tamper-proof manner. To test the feasibility, Marlene spotted lab equipment with a test message, and was able recover and decode the message, even after months of daily use and routine cleaning. DNA spotted onto electronic components and stored in cool, dark environments could be recoverable for hundreds of years. Another, more straightforward application for the Bachands’ DNA storage method would be for historical or rarely accessed classified documents. DNA requires much less maintenance than disk- or tape-based storage and doesn’t need lots of electricity or tons of space like cloud- or paper-based storage. But conversion of paper documents into DNA requires the “cumbersome” process of scanning, encrypting, then synthesizing the DNA, admits George. Making the DNA is the most expensive part of the process, but the cost has decreased substantially over the past few years and should continue to drop. “I hope this project progresses and expands the biological scope and nature of projects here at Sandia. I believe the field of biomimicry has no boundaries. Given all of the issues with broken encryption and data breaches, this technology could potentially provide a path to address these timely and ever-increasing security problems,” says Marlene. If you were at the Super Bowl in New Jersey in February, or at the concurrent “NFL Experience” in Manhattan, you may have spotted some elite Brookhaven Lab employees. Not cheering in the stands or even inside the stadium, these members of the Lab’s Radiological Assistance Program (RAP) team were working on Super Bowl Sunday and for several weeks beforehand to monitor the metropolitan area for potential radiological threats. The RAP team, one of the National Nuclear Security Administration’s (NNSA) radiological emergency response assets, is comprised of a few permanent staff, augmented by highly trained volunteers from many Lab disciplines. Together, they work to stay ahead of any such threats using a palette of detection tools that have become increasingly sophisticated and user-friendly, driven by the evolving mission of the program. Working with first responder partners like the Federal Bureau of Investigation, police and fire departments, hazmat units, Weapons of Mass Destruction Civil Support Teams (Air and Army National Guard), and others, the RAP team offers radiological assistance efforts upon the request of federal, state, tribal, and local governments and private groups and individuals for incidents involving radiological materials. In addition to prominent sporting events, the RAP team supports security efforts for high-profile events like the United Nations General Assembly, New Year’s Eve activities in one or multiple locations, the holiday tree lighting ceremony, the Democratic and Republican national conventions, and even Presidential inaugurations. During a deployment, researchers and technicians with backgrounds in various aspects of radiological controls and analysis conduct field monitoring and environmental sampling, assessment, and documentation activities to help decision makers choose appropriate protective actions for the safety of both the public and first responders. Between deployments, the team examines issues of coordination between agencies, plans, and procedures, and trains and evaluates the proficiency of individuals using the equipment. Initially, all RAP team members are required to take a specialized course in Albuquerque, NM, and then attend training sessions at least quarterly. Team members are periodically evaluated through their participation in drills and exercises. Occasionally a “No Notice Exercise” is conducted by NNSA that tests the team’s readiness to respond. Although some of the equipment now being used is commercially developed, other instruments are developed specifically for the use of DOE assets such as RAP teams, with the expertise of scientists and engineers from the DOE and NNSA complexes. Lab staff has participated in the development, testing, and functional evaluation of numerous pieces of equipment in this category. The evolution of this equipment conforms to the change in the program’s mission. Historically the RAP mission was “consequence management” — events and situations along the lines of responding to a spill from a truck carrying medical radioisotopes, for example. But as the profile of terrorism has been raised across the country and around the world, the need for a more preemptive approach in radiological screening was recognized, and RAP has been increasingly called upon to support law enforcement groups conducting directed or random screening for illicit movement of radiological materials. One of the techniques now being applied to the search and crisis response missions is gamma ray spectroscopy (GRS), largely a laboratory technique used for more than 40 years to identify radiological material. Like a fingerprint, a particular radiological material has a particular gamma ray spectrum that is unique to that radioisotope. As a result, this technique can be used to not only detect the radioactivity of a sample, but also to give information identifying that particular material. The instruments can be very large and are delicate items that need very stable temperature control and a constant supply of liquid nitrogen to cool them. As the RAP program moves to emergency response, more portable equipment allows the team to conduct a search operation with greater focus. For example, a construction site may report a missing soil density gauge – a commercial product containing some radioactive material that’s used to measure the density of compacted soil. With a spectroscopic system, the team knows in advance what isotope they’re seeking and can use GRS to search in a more specific way. Also, while the older GRS systems always required a human to take, calibrate, and analyze the data, computer software can now automate some analysis of that gamma ray spectral information. Other new, more sophisticated algorithms can generate data products, such as maps, at different stages of an event, so technical information can be conveyed to decision makers at a glance. The context surrounding a measurement needs to be evaluated by someone with some understanding of the world’s background radiation footprint. 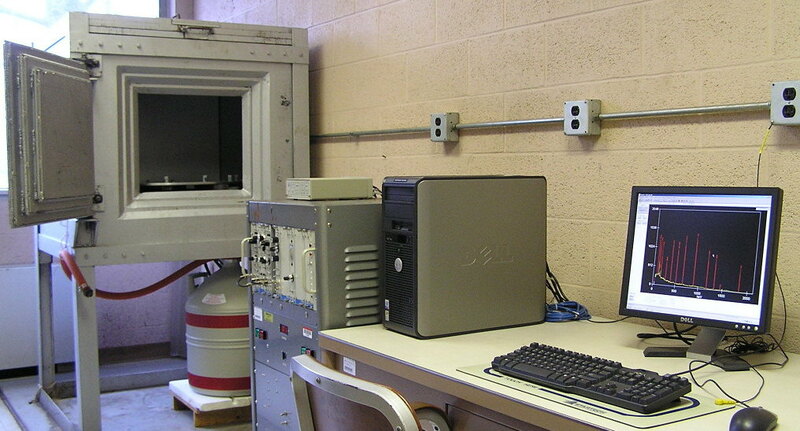 The DOE community also has a capability called TRIAGE, where highly trained specialists from the NNSA nuclear weapons laboratories provide a scientific confirmation of the measurements made in the field. Advances in equipment communication allow that information to be communicated to specialists who can analyze field measurements that may look ambiguous. As the radiological landscape continues to evolve, both in this country and abroad, the RAP team and others will continue to refine their search and detection techniques, and scientists at Brookhaven Lab and elsewhere will be working to stay ahead of the technology curve.